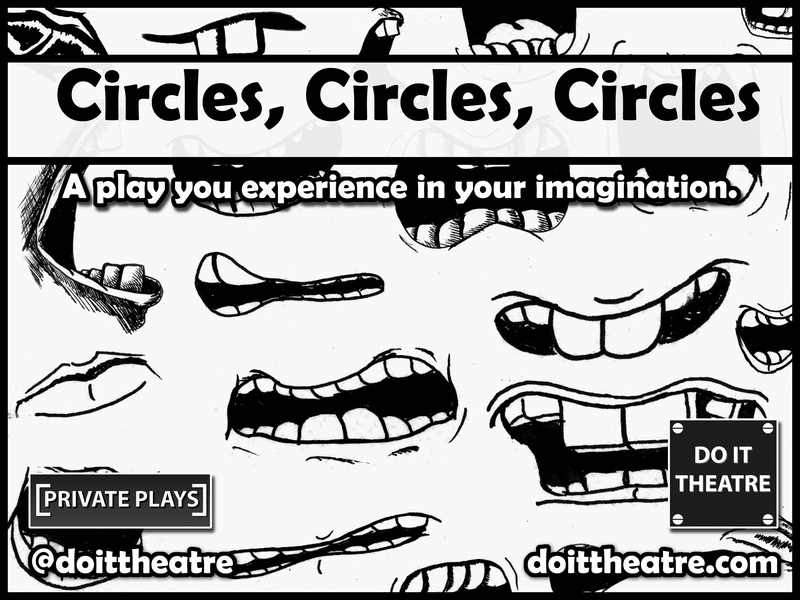 Circles, Circles, Circles is a short Private Play specifically written for the Anatomy Arts/Theatre/Music/Spoken Word Event at Summerhall, Edinburgh. 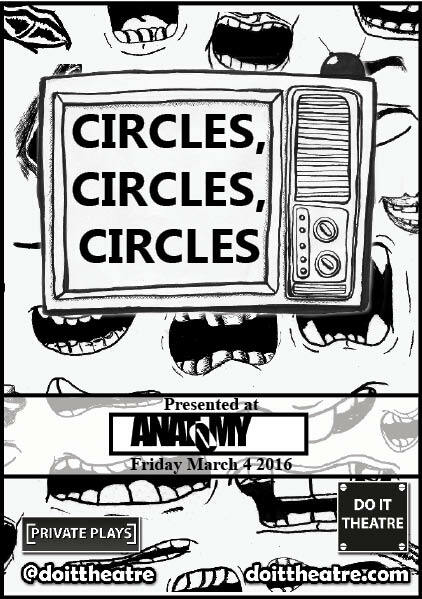 The event took place on Friday 4 March 2016 at 8pm. The Private Play itself was presented in a new way for us. There was no installation or exhibition. The script was contained in a zine and handed out in-between two cabaret acts and the audience read the script together as some ambient music played. The story looked at money and work in the context of mental health. This method of presenting Private Plays was an experiment and is the first time we have asked an audience to read together in a theatre setting. The zine can be downloaded from here.